You may have been putting off a checkup & clean because you want to catch up on brushing and flossing before you book an appointment. You think you’ll lay off the coffee and sweets for a while first. Don’t delay! The First Dental team never judge and want to assure you that coming in soon is the best way to get started on improving your oral health. The team can offer so many tips and gentle advice to get you started. Perhaps other family members complain of having sensitive teeth and so you think it runs in the family? Say your gums have always bled a bit when brushing? Maybe that sore spot has been there for a long time. Any discomfort can be a sign of a bigger issue. First Dental are highly trained to spot serious diseases that you cannot see. For the sake of your long-term health, six monthly checkups are key. The wonderful news is that you may find yourself a bit anxious about a niggling pain only to discover there is nothing serious wrong. It’s very common for First Dental to see patients with early stage gum disease and the patient didn’t even know it. A regular checkup will catch an oral abnormality early and will ultimately save you time, discomfort and money! 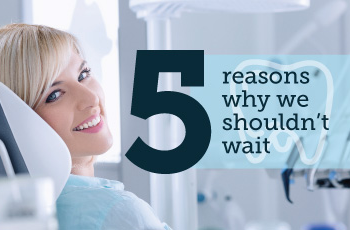 X-rays can pinpoint issues that are occurring beneath your gums. Having a bi-yearly record will help your dentist to identify symptoms that you would never find on your own. It’s great that you look after your oral health daily but there’s every chance you don’t clean your teeth as well as we can. The feeling of professionally cleaned teeth after leaving a checkup & clean appointment is fantastic and will make brushing and flossing each day even easier. It’s more common than you think! Many people are not sure about flossing or feel like it’s too hard. It’s never too late. We can show you how to do it on a model and we can give you great advice about what to look for in choosing floss. We’re never judgmental and are just happy if you take up the habit. Coming in for a checkup & clean will get rid of built up tartar and allow you to floss much easier. Flossing will make you less likely to develop gum disease, bad breath and cavities. First Dental welcome you to book a checkup & clean appointment. Take advantage of the New Patient Checkup & Clean for Health Fund Rebate Only (no gap). You’ll always get a dentist, not a hygienist. We are here to provide you with non-judgmental, expert, gentle care.